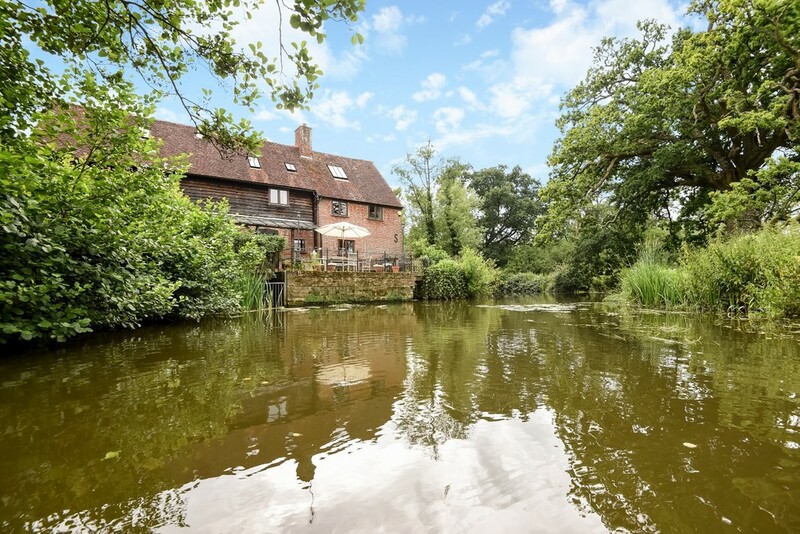 A delightful former water mill believed to date back to the 16th century in an idyllic setting. 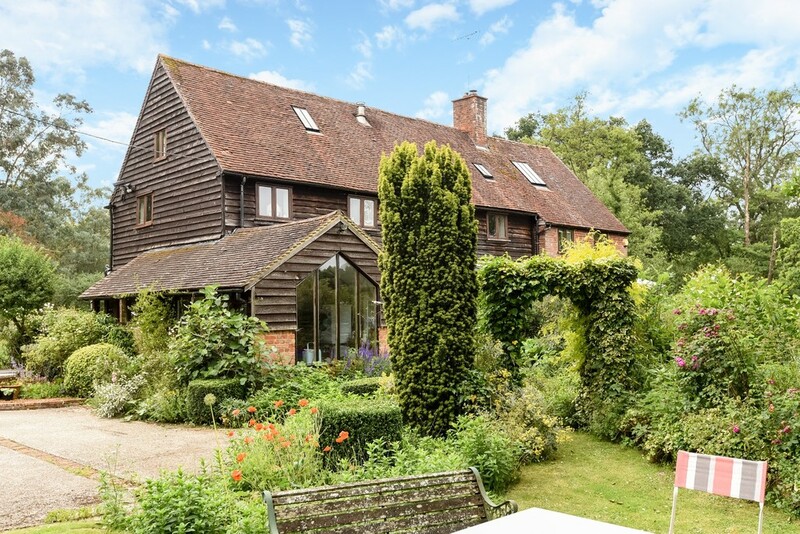 This grade II listed former mill is now a stunning 2,966sq.ft. home with a 955 sq.ft. barn. 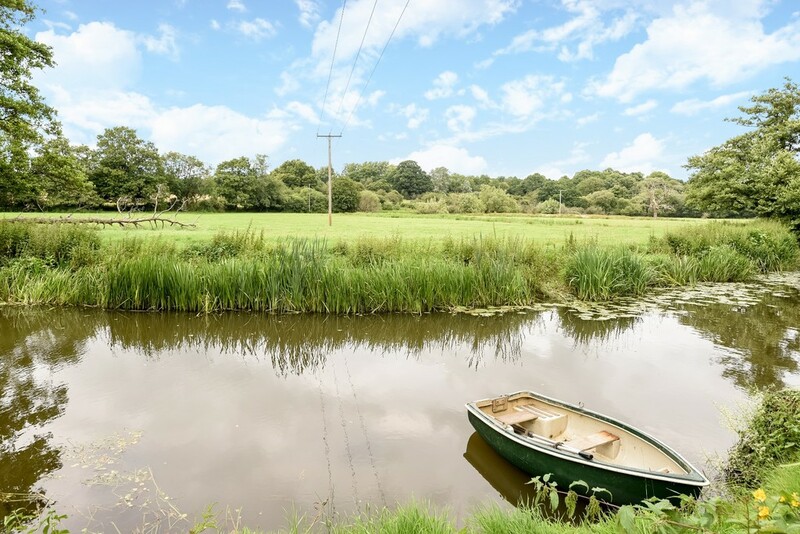 Originally a working mill shortly before World War II, the property was converted to a private dwelling and stands on the edge of the River Arun in beautiful 2.5 acres of grounds. 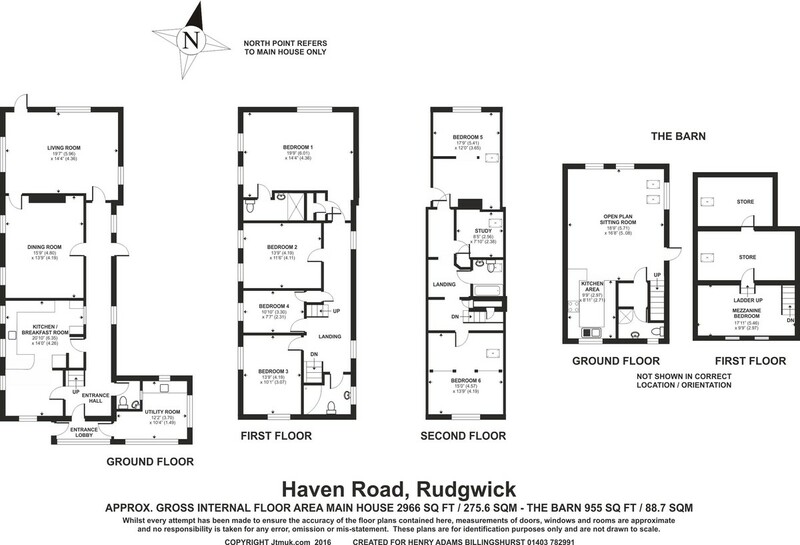 It is now a stunning 2,966 sq.ft. home with a 995 sq.ft. barn. 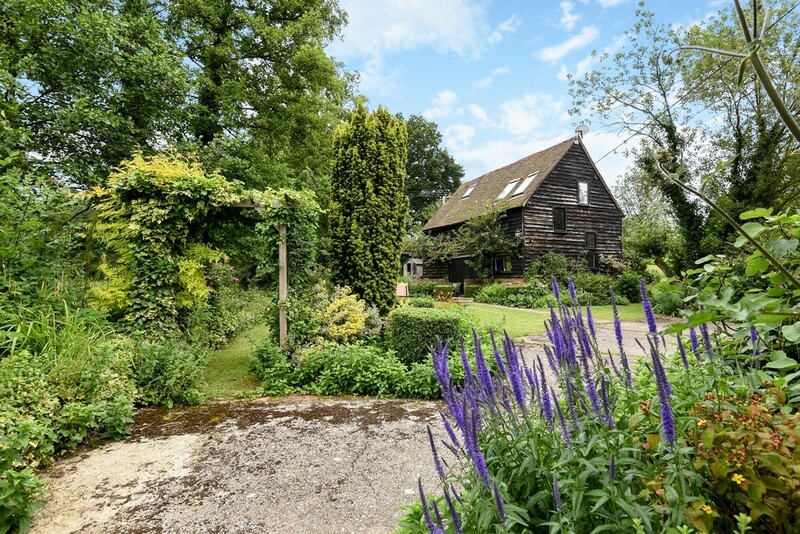 GROUND FLOOR GROUND FLOOR The large glazed front door opens to the long reception hall off which there is a fully fitted kitchen/breakfast room with solid oak units and integrated dishwasher, fridge and a gas fired Aga. 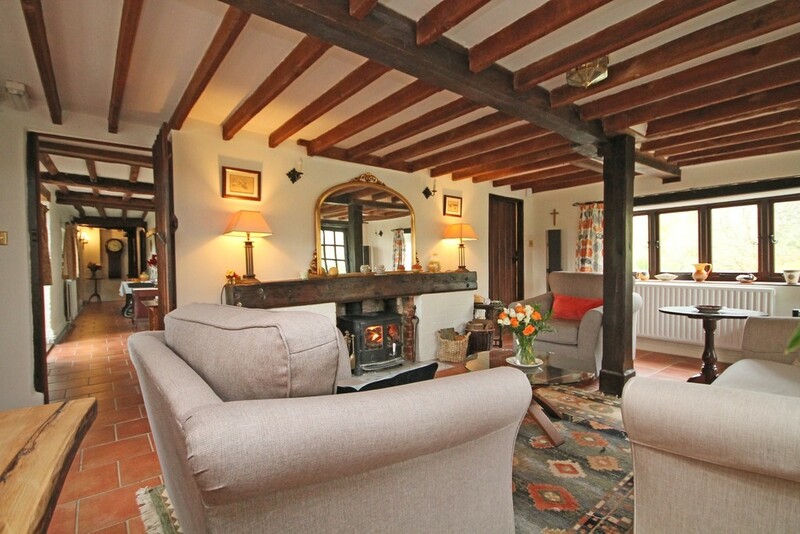 The dining room is approached from the entrance hall and has an additional interconnecting door through to the spacious triple aspect living room with woodburning stove and glazed door to the garden area. 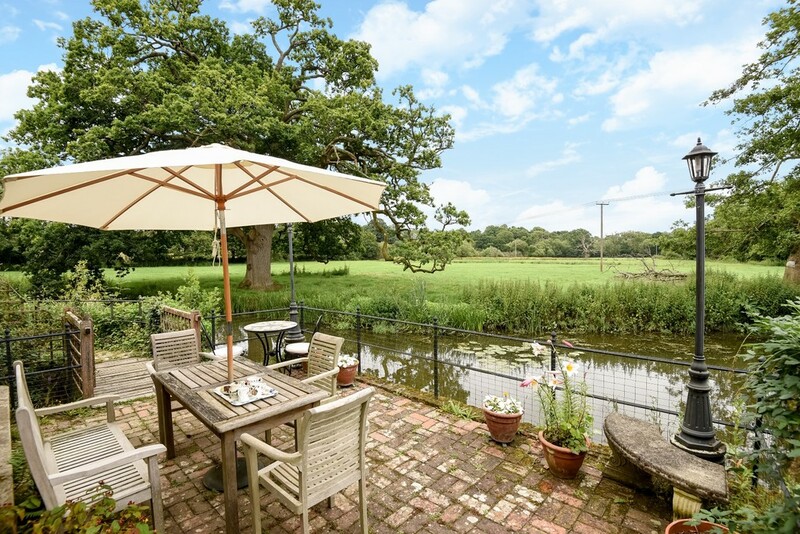 All rooms enjoy views of water and gardens, and have evidence of exposed beams enhancing the Mill's character. FIRST FLOOR A palatial triple aspect master bedroom suite comprises a walk-in cupboard and leads to an en-suite shower room. There are three further bedrooms plus family bathroom. SECOND FLOOR SECOND FLOOR A further staircase rises to the sixth bedroom which retains some of the original workings highlighted as a stunning feature. The 5th and 6th bedrooms, a 3rd bedroom and a study room are also on this floor. 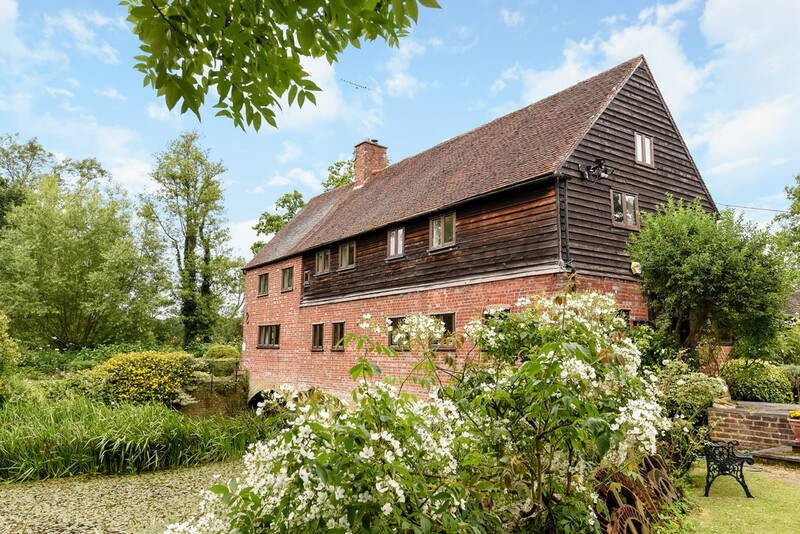 OUTSIDE The long sweeping driveway leads to the large parking area where there is a double garage and a large decked area to the rear of the mill overlooking the river and where fishing rights are granted. 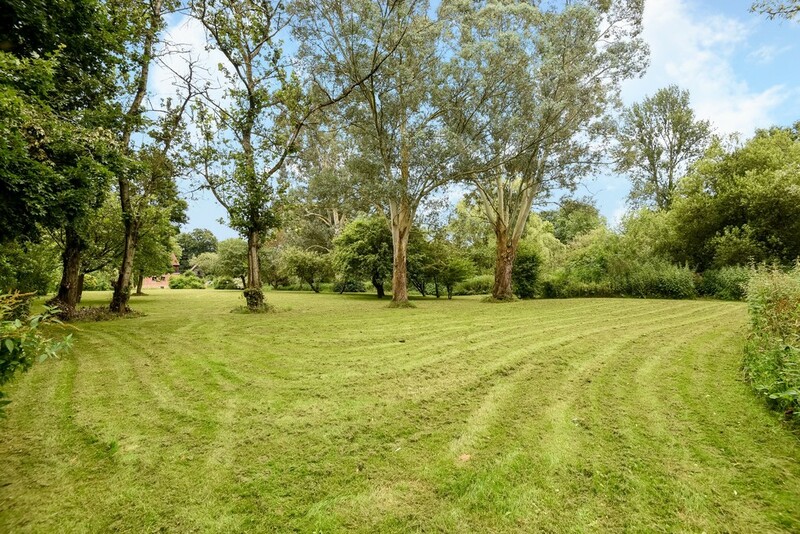 To the western side the gardens comprise a large area of lawn, well established trees and wild flowers. There is a formal kitchen garden on the southern side, a stable block and a Victorian style greenhouse. NB The current owner has engineered drawings for the addition of a hydro electric generator which has the potential to generate some 15kw continuously. This would be a supplementary income. 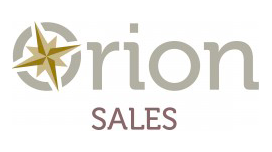 The feasibility study by a hydroelectric company is included in the sale. 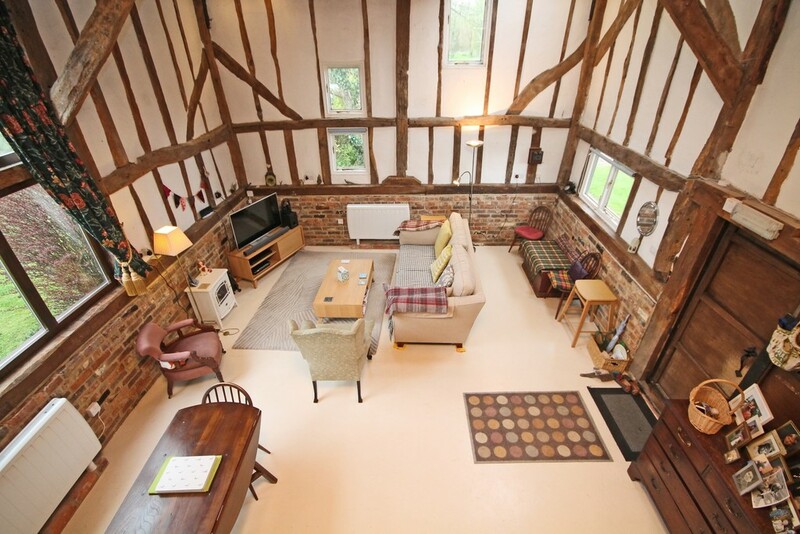 THE BARN The detached Barn comprises a generous open-plan living area with a huge picture window enjoying south-facing views of the garden. 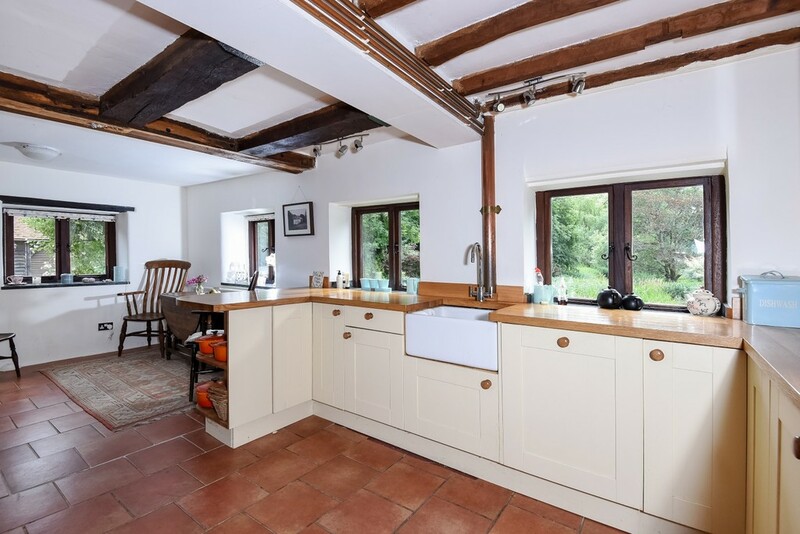 The kitchen area has oak units and built-in oven and hob. The separate utility area leads to the shower room. A staircase rises to a mezzanine bedroom and a loft ladder provides access to 2 large storage spaces.